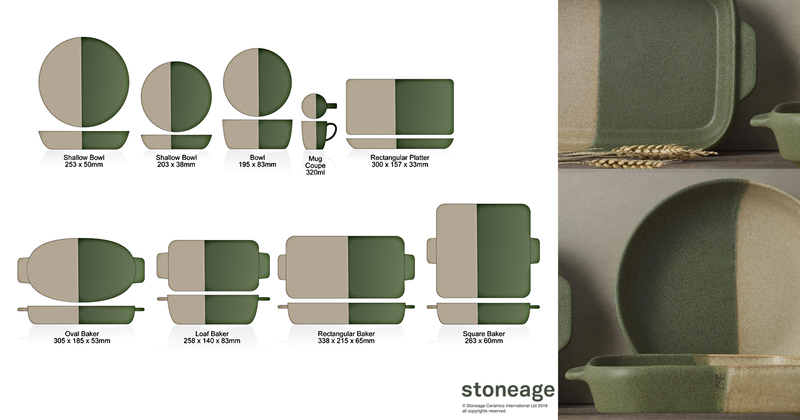 In this edition of the Stoneage blog we would like to share with you a diverse selection of our new ceramic dining and bakeware ranges from 2018. 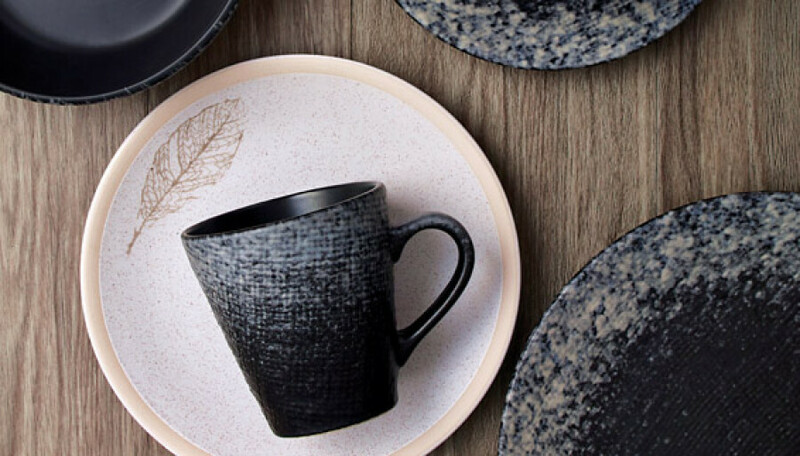 Key tableware and homeware trends have been captured in the following collections, in particular a resurgence in artisanal, textural looks. 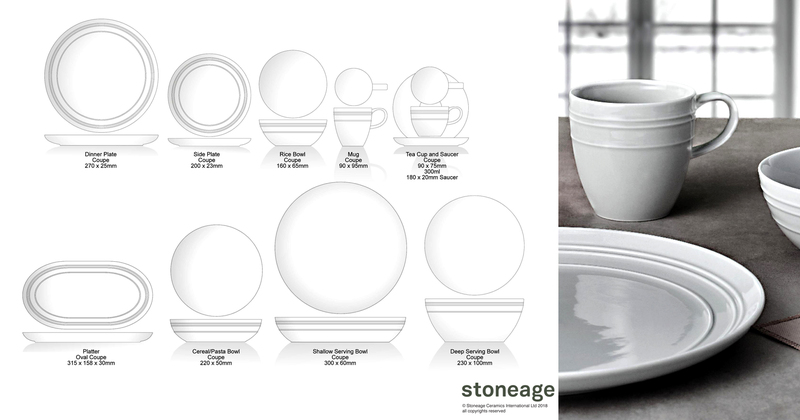 An elegantly curved porcelain collection with a sophisticated embossed banding. Also available in a range of pretty pastel colours, Boulevarde is a comprehensive range of core, quality basics. 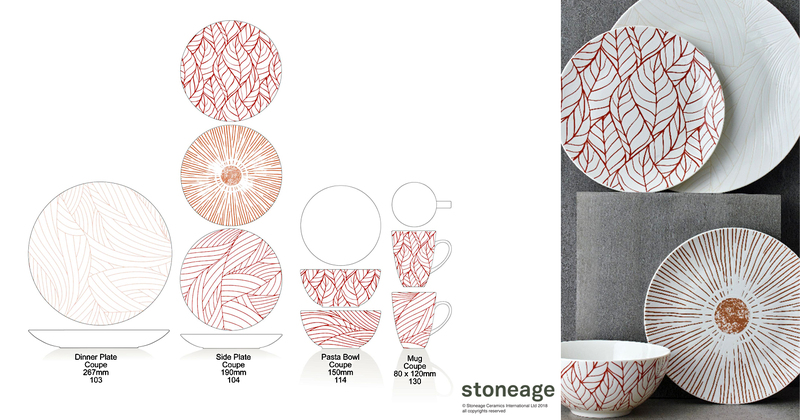 Abstract linear pattern is paired with subtle embossing to create a tactile range of new bone china dinnerware pieces. Mix and match designs move and flow over the coupe shapes with hypnotic effect. Synthesis is a laid-back collection of dinnerware on a durable, stoneware canvas. 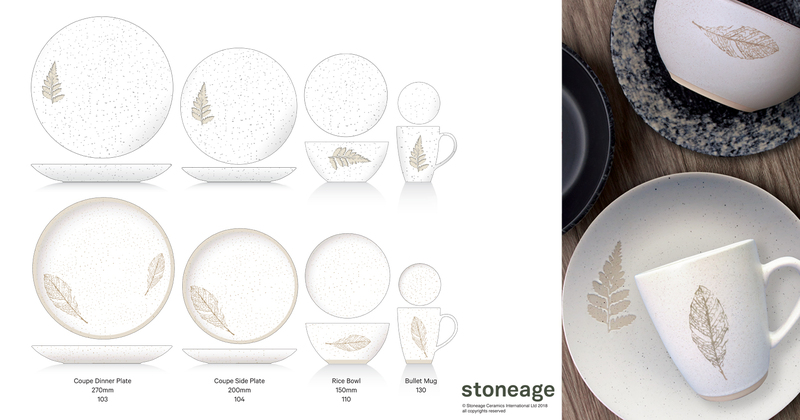 A light, neutral range, inspired by natural organic textures and leaf motifs, overlayed with a light speckle effect. 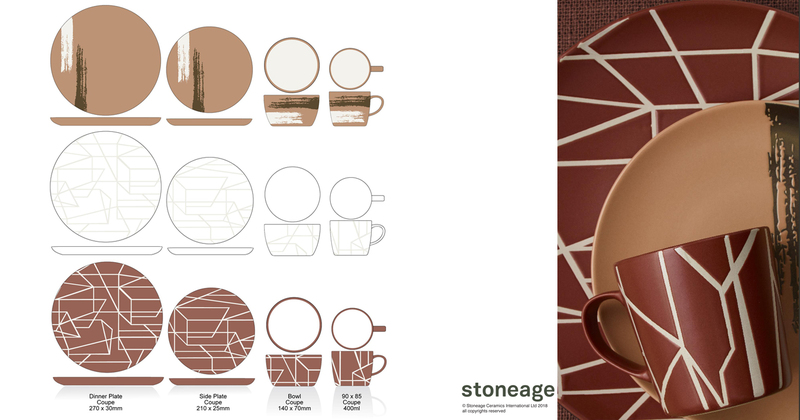 Rich earthy tones embolden geometric pattern and brushed textural effects. Wax resist techniques against satin glaze create a tactile embossed feel. Rustic, home-style shapes dipped in subtly mottled reactive glazes of wheat and forest green. Evoking images of a country kitchen, Verda is a versatile and hard wearing range of dinnerware and oven-to-table pieces. 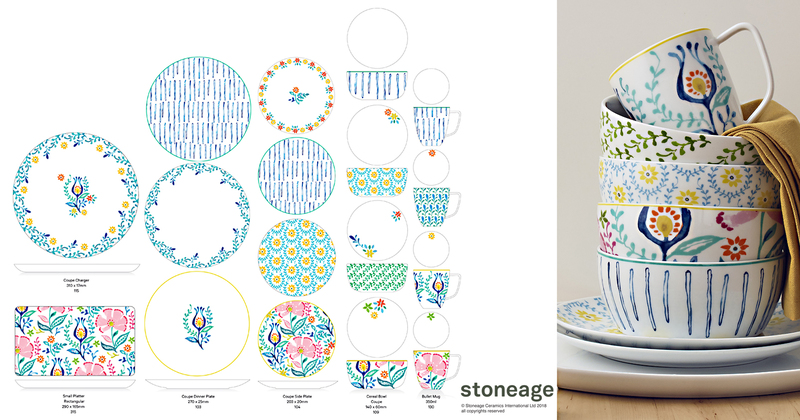 Colourful, Scandi inspired florals and playful pattern repeats adorn bright porcelain shapes. Look on the bright side with this not-too-serious series. 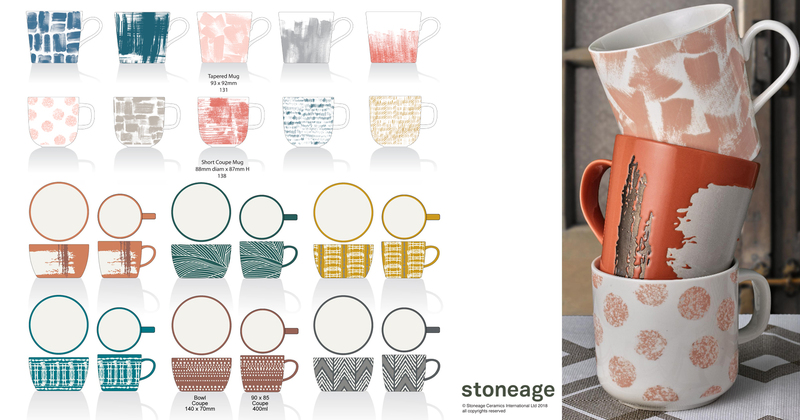 It’s all about texture with this eclectic mix of mugs and bowls, exploring painterly effects and artisanal, handcrafted looks. 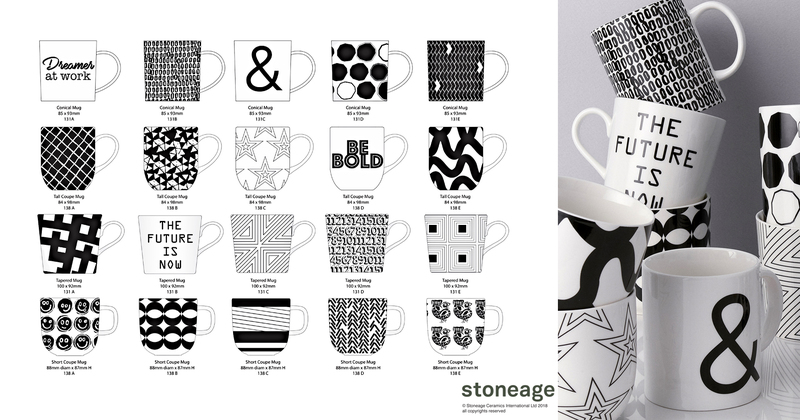 Expressive, abstract geos, quirky statements and conversational prints come together in this collection of bold black and white coffee mugs. If any of these ceramic collections are of interest to your business please contact our helpful staff.